On a slender strip of land between the BART line and the Pacific Railroad tracks, the site of a former canning factory stood vacant for many years. 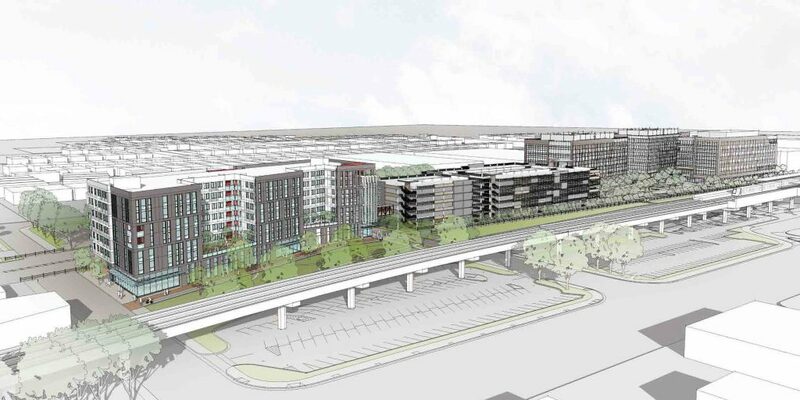 Now Westlake Urban is developing a multiphase 7.3-acre tech campus that includes three office buildings, multifamily housing, a parking structure, and pedestrian connections to the adjacent BART station. 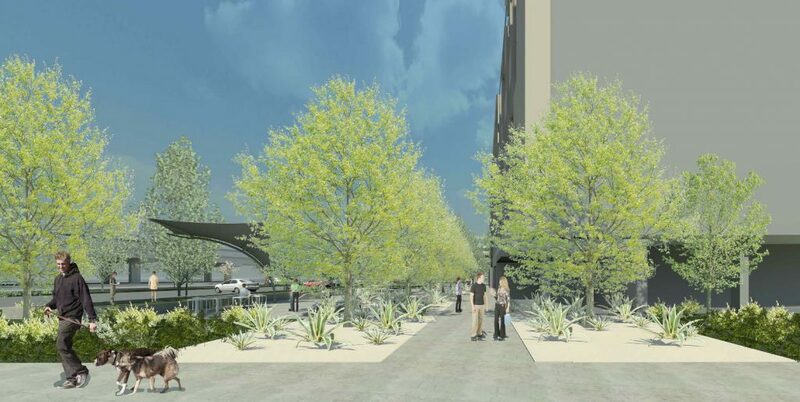 PGAdesign is creating a much-needed link from the campus to the Bay Trail, restoring access previously blocked by the BART station parking lot, as well as creating a direct connection across the railroad tracks. The quarter-mile-long path functions as fire truck access for the site as well as for the Bay Trail. 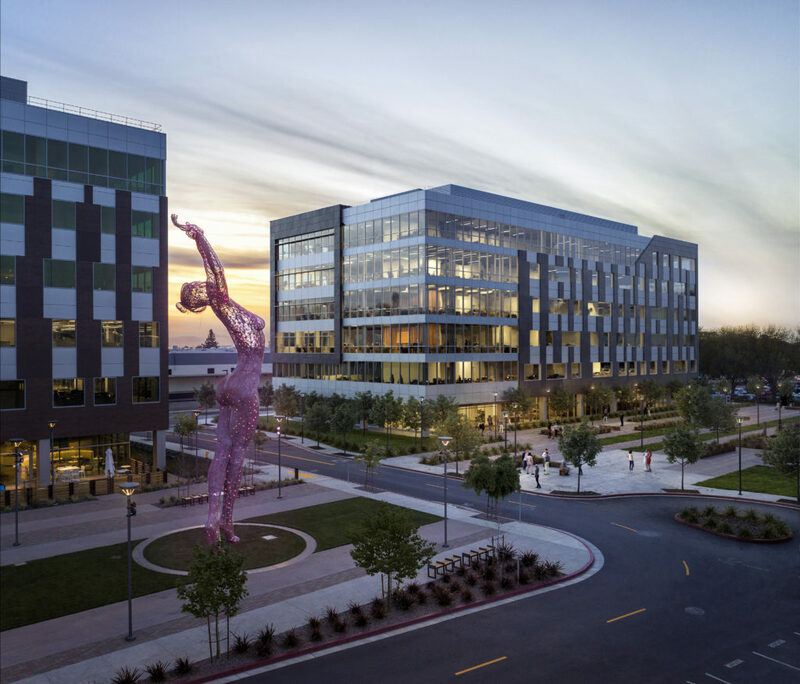 For the tech park’s users, PGA designed a new plaza, capable of hosting festivals and other events, and helped integrate a 55-foot-tall steel mesh statue into the plaza as a focal point for the campus.